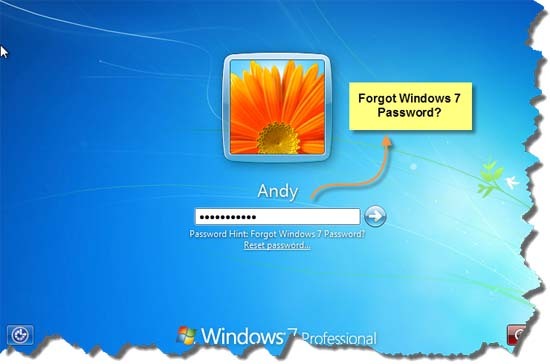 Home Windows What Can We Do in Case We Lost Windows 7 Password? What Can We Do in Case We Lost Windows 7 Password? May 9, 2013 , Comments Off on What Can We Do in Case We Lost Windows 7 Password? Password protection is a common way to control Windows access and then protect the data in your Windows PC. Windows 7 is not an exception. Since last year, Windows 7 has outnumbered Windows XP and become the most popular operation systems for PCs. The popularity of Windows 7 attributes to a lot of factors. The security performance of the popular system is one of the most important factors. When it comes to Windows 7 security, the logon password should be discussed in detail. In spite of the satisfactory security performance of Windows 7, most Windows 7 users would like to create a powerful password so that it can be resistant to password hacking. However, how can we remember the powerful password clearly is an ever-lasting problem that we have to deal with. You hope the password can be as complicated as possible, while you don’t want to recover password Windows 7 when forget it on a regular basis. Actually, whether your password is easy to remember or not can involve in two factors ¨C- password expiration and password strength. It’s very common for Windows users to be told to periodically change their login passwords. Security experts have traditionally insisted on password expiration to foil an attacker who intercepts or guesses the older password. In Windows 7, users are allowed to set password expiration by setting the maximum password age. What we are going to talk about is exactly the setting of password age. Password expiration, on the other hand, actually poses a real risk to computer users nowadays who rely heavily on their PCs. When users lose or forget a password, they may face a serious interruption of their workday. A compromise and useful way is to keep the password expiration, but the value of password expiration should be set a little longer, say, 90 days. Besides, with the rapid development of password hacking technology, users have to make their passwords complicated and long. It is indeed useful to improve the password strength to the utmost; however, it also makes the password hard to be remembered. I want to say, you can actually make the password as interesting as possible. Or you can make use of some mnemonics, say, making sentences for some randomly combined passwords. The password “iadd0pwm”, for example, can be associated with “It’s a damn day, no person with me”. Quite simple to remember, isn’t it? In case we lost the Windows 7 password by accident one day, we should also make some preparations for it. Password hint is always the first thing you should think about carefully. And the most useful way for password reset Windows is undoubtedly to use a Windows password reset disk. After you have created your password, remember to burn a password reset disk and then store it in a safe place. A password reset disk can only be made before you’ve lost your Windows 7 password. You can also learn about some password reset tools in Windows 7, such as, Kon-boot, Ophcrack, Anmosoft Windows Password Reset, etc. These tools are necessary in case that you lost your passwords and you don’t have the password reset disk. How Useful Is Office 365?